My research interests broadly include primate ecology and evolution, environmental endocrinology, nutritional anthropology, evolutionary medicine, and conservation biology; I am specifically interested in the influence of diet on the primate endocrine system. Naturally occurring estrogen-mimicking compounds (i.e., phytoestrogens) are found in over 300 species of plants, including various leguminous plant foods eaten frequently by humans (e.g., soy). Consequently, much medical research has focused on the influence of phytoestrogen consumption on human health. 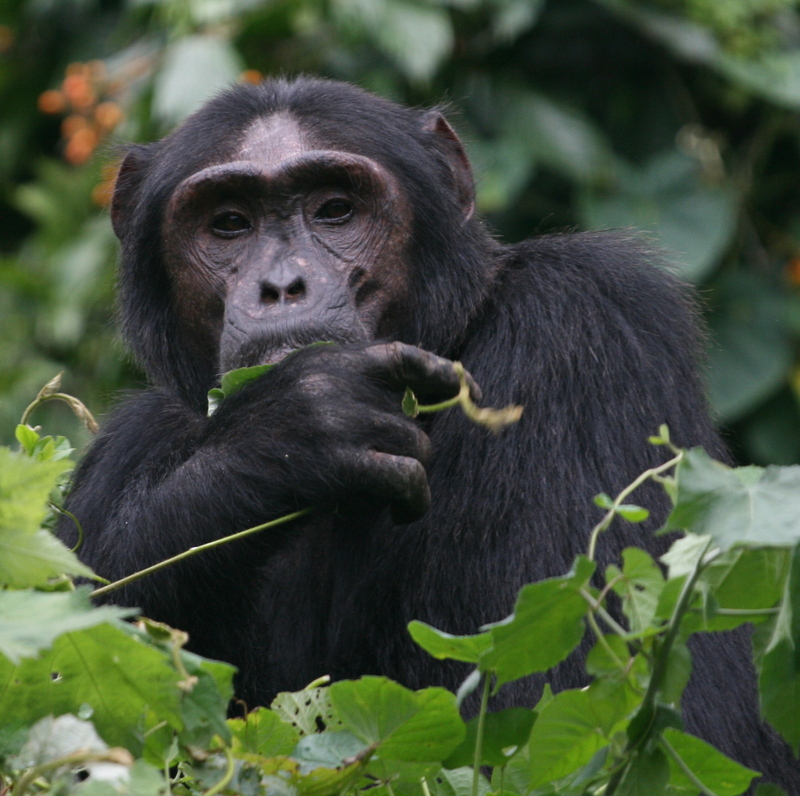 Despite this widespread interest, little is known about the ecological or evolutionary implications of feeding on estrogenic plants for primates. It is increasingly important to understand the relationship between primates and phytoestrogen-containing plants as many human foods and botanical treatments now contain products derived from estrogenic plants, either specifically for their reported benefits (e.g., herbal treatments for menopausal symptoms) or simply as a coincidence (e.g., processed foods containing soy byproducts). Although much debate is currently taking place over the role of these compounds and other endocrine disruptors in modern human health issues and the potential of anthropogenic endocrine disruptors to threaten biodiversity, appropriate conclusions cannot be made until an ecological and evolutionary approach is taken. For my dissertation, I examined the relationship between estrogenic plants and the endangered Ugandan red colobus monkey (Procolobus rufomitratus) of Kibale National Park, using a multidisciplinary approach with methodology from endocrinology, cell biology, plant chemistry, and behavioral ecology. 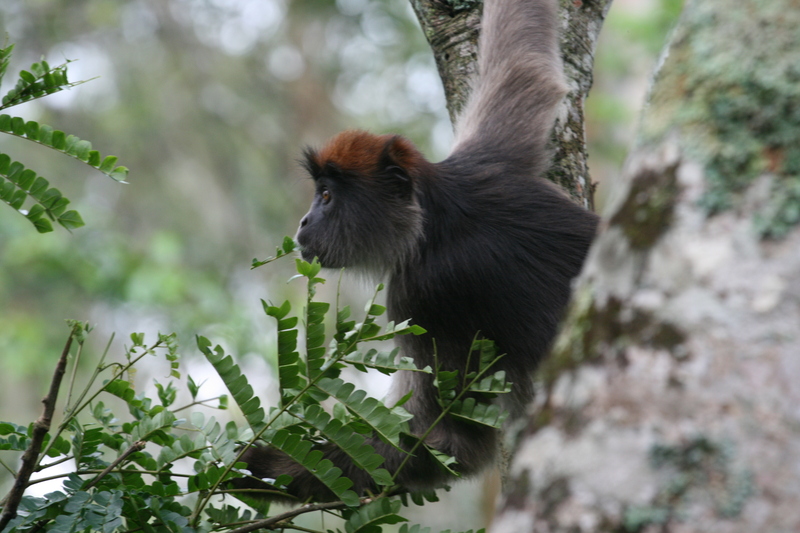 From my field work and laboratory analyses, I discovered that a number of plant species in the Kibale forest were estrogenic, that red colobus did feed heavily on some of these plants, and that their ingestion did appear to influence red colobus physiology and behavior. The results of my dissertation research have raised a number of intriguing questions with relevance to the dietary ecology of primates and to the evolution of modern human biology: How prevalent are phytoestrogens in the diets of other primate species? Are there differences in exposure based upon dietary niche (e.g., frugivores vs. folivores) or phylogeny (e.g., monkeys vs. apes)? What environmental factors influence the phytoestrogen content of wild plants and how does this affect primate feeding behavior? Does the ingestion of phytoestrogens alter rates of aggressive, anxiety-related, or mating behaviors? I am currently addressing these questions using a comparative framework. To do this, I am examining the prevalence of phytoestrogen-containing plants in the diets of various primate species in Africa, Latin America, and Southeast Asia, as well as examining the physiological and behavioral consequences of phytoestrogen consumption for these primates. If you are interested in collaborating on these projects, please contact me by email: mdwasser@indiana.edu.